Arlington Transit officials are hoping to get bus service back to normal this week, after everything from emergency brake issues to loose bolts on buses prompted a series of delays and cancellations, but riders on some routes could still see longer waits. Arlington Transit Bureau Chief Lynn Rivers told ARLnow that her agency discovered a series of mechanical issues on county buses during an inspection of the ART fleet that began last Saturday (June 2). Rivers noted that ART technicians worked to repair those issues as inspectors discovered additional problems, which forced the agency to offer reduced service over the course of the last week. A county spokeswoman says that ART wrapped up its safety inspection and repairs on Friday (June 8). Now, Rivers says ART hopes to restore its level of service to “our normal” this week. “All of those [issues] are easily repaired. They’re part of a routine maintenance,” Rivers said. ART runs routine fleet inspections about every two years, Rivers said. This inspection, which ART characterized as “expedited” in a statement last Tuesday (June 5), occurred a little under two years after the last one, according to Rivers. She says the the transit agency decided to bump up the safety review after “noticing and also getting comments… about our on-time performance.” Rather than sampling half of ART’s 72-bus fleet, as the agency would in a typical review, Rivers said officials decided to sample 51 buses for maintenance — the number that operates across the county on a normal day. Issues uncovered by the inspection led to the cancellation of almost 6 percent of trips last Monday (June 4) according to Rivers. 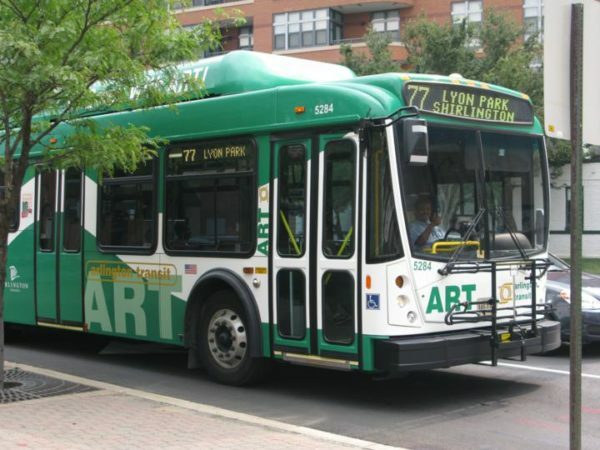 That translated to 48 missed trips that affected 11 of ART’s 17 routes, according to the ART Alert Twitter account, which announces all delays and cancellations. Over the course of the week, 12 routes were affected. Tuesday saw 38 trips missed, according to Twitter. Although that number was down to 16 by Wednesday, it spiked back up to 32 on Thursday before settling back to 13 on Friday. There were 24 cancellations yesterday (Monday), comparable to the number missed in some of the days preceding last week’s inspection. Rivers noted that ART plans “to follow up” this week “to see exactly where things are.” However, she added that the conclusion of this inspection and maintenance work likely won’t prevent some of the more serious issues ART riders have noticed, like buses struggling to get up hills and to start again after stopping at lights. Rivers said that ART has noticed “buses that seem to have some power issues,” prompting those sorts of breakdowns. Problems like this could occur in buses at the end of their “useful life” — 12 years for a 40-foot bus. These buses are routinely scheduled for “rehabilitation,” which extends their useful lives by about four years, Rivers added. “What will be done in most cases is major components,” like engines or transmissions, “are upgraded or rehabilitated,” Rivers said. With all that work still ongoing, Rivers said ART appreciates riders who have stuck with the bus system. “We’re just very grateful that people will just be understanding as we work through this process to continue to have a faithful and reliable system,” Rivers said.